I’m in the process of migrating over my personal project and task management system to something a little simpler. 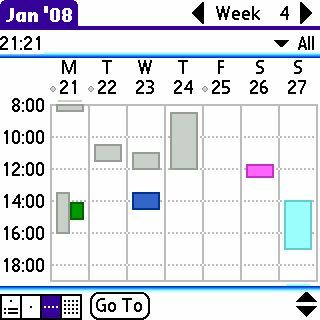 Years ago (well before I started Solutions At Hand), I had found that the built-in Palm applications were a little for lacking for managing tasks and projects. So, I had tried using outliners to give tasks a hierarchy within a project. I used freeware applications, and bought a couple of outliners to manage both personal and business projects. 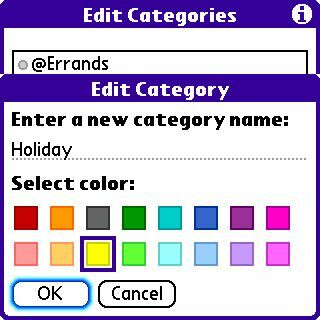 Outliners brought features that were not possible with the built-in applications, at the cost of added software, time, money, and more complexity. Being a “techie”, complexity doesn’t bother me, since I often work with complex systems. The thing is, a system for managing your life should be able to handle your life no matter how busy you get or how you’re feeling. That’s one point that David Allen, author of “Getting Things Done”, makes; a life management system should work even if you’re sick, miserable, and swamped in stuff. David’s GTD system is rooted in simple principles that become habits, and my courses teach some of David’s principles adapted for Palm Powered products. 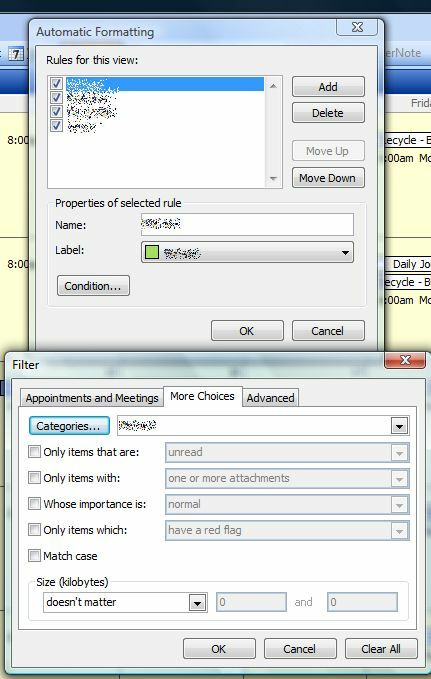 Many of David’s GTD techniques relate to the KISS rule (Keep It Simple, Silly). GTD (like KISS) is both a methodology and a philosophy. Generally, it boils down to simple things tend to work better when things get rough, whereas complex things are more likely to break down. If they break down, then you end up dropping the ball on parts of your life. Moving is a big change, and one of the benefits of moving (and change in general) is that it gives you the opportunity to take a fresh look at things, and maybe do some housecleaning. 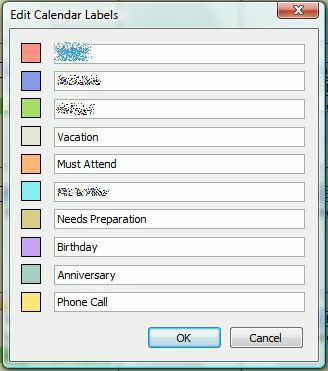 My migration back to the standard apps will accomplish two things for me: the first is to eliminate some historical “baggage” (complexity and redundancy) that I’m no longer willing to carry; and two, simplify my personal system to bring it in line with what I train my clients on. I won’t be losing any “power features” by migrating back to the standard apps, since there are a lot of tools around now that work with the built-ins. I won’t be ditching my favourite outliner, ShadowPlan, completely; I’ll keep it for complex projects instead of my day-to-day activities. Some quick thoughts on quick fixes. As a society these days we are fixated on immediate gratification. We want to buy things NOW to make us feel better NOW, lose weight FAST to make us feel better NOW, and so on. The problem with quick fixes is that they don’t last. If the foundation of your house is crumbling, you don’t do a quick fix on it; you do what it takes to fix it right so it lasts. So why try to slap a bandaid on your life? Take the time , and do what it takes to fix it right. A handheld or smartphone on it’s own would be a quick fix. A PDA or smartphone, coupled with discipline and good habits, becomes an effective tool for life management. Developing that discipline and those good habits takes hard work and time, but it’s an investment that will pay off over the course of your lifetime. For some people, “Islands in the stream” are some of the lyrics from a song. For others, it’s the way they go about their lives. Many people try to “compartmentalize” their lives. Work stuff belongs at work, home stuff belongs at home, and everything has it’s place and time. Unfortunately, life is seldom that clearly defined. There will be times where you have to deal with personal stuff at work, work stuff at home, and other things at places between. We can’t live our lives as islands, or silos in the field. As an individual, we are the sum of the many parts of our lives, like puzzle pieces. You can’t get “the big picture” just by looking at each piece individually. You need to put the pieces together, and look at the whole thing in order to get the picture. One of the ways to improve your quality of life is to have a trusted system that will help you capture, process, and manage all the “stuff” that comes your way every day. A Palm Powered handheld or smartphone can be an essential part of such a system. What I teach my clients is that to be truly effective, you need ONE system of information. That system can be available in many places, but it is still ONE system. Like a briefcase carries paper information place-to-place, your Palm becomes your conduit for merging all the different aspects of your life into one convenient system. Your Palm’s ability to HotSync at multiple computers allows it to carry that system from place-to-place. In addition to being a device that is capable of entering and retrieving your information, you will also be using it as your “electronic briefcase”; it becomes the tool you can use to keep your work and home systems synchronized. It also allows you to be fully mobile, capturing and using information irregardless of where you are. The technology is just some of the pieces of our life puzzle. Some of the time and task management techniques I teach are based on David Allen’s “Getting Things Done” principles and methodologies, modified based on each client’s needs and for the systems they use. I also encourage people to use techniques from Stephan Covey’s “7 Habits” for higher level planning. Those two methodologies, combined with a Palm Powered handheld or smartphone, allow for a seamless system of “life management”. 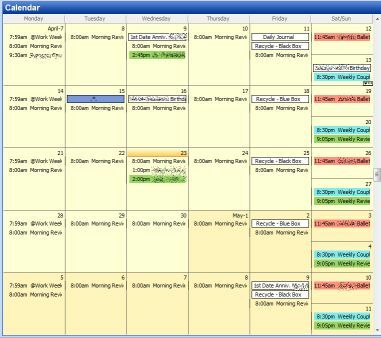 There’s just no real way to fully separate work from personal life; your tools and lifestyle management techniques really need to allow you to have ONE system, ONE complete view of your life, where you can truly manage it based on the “big picture”, or “the forest”. Your Palm can also allow you to “filter” your information by where you are and what you are capable of doing at that place. That allows you to handle “the trees”, the daily minutiae of things-to-do. The processes are the rest, and most important, pieces of our life puzzle. The beauty of Palm Powered handhelds and smartphones is the freedom of choice they give you. You can use any Palm-compatible desktop application for life planning, and have that information at your fingertips wherever you go. Some people even use different operating systems in the course of their daily lives, and use their Palm to keep those separate systems “in-sync”. ONE system doesn’t mean having to use only one tool or one way of doing things; it means keeping ONE set of information to manage your daily life, and having copies of that information wherever you spend your time. ONE system really means YOUR system. After all, one size doesn’t fit all. It’s YOUR puzzle; pick the pieces that make the picture work for you.